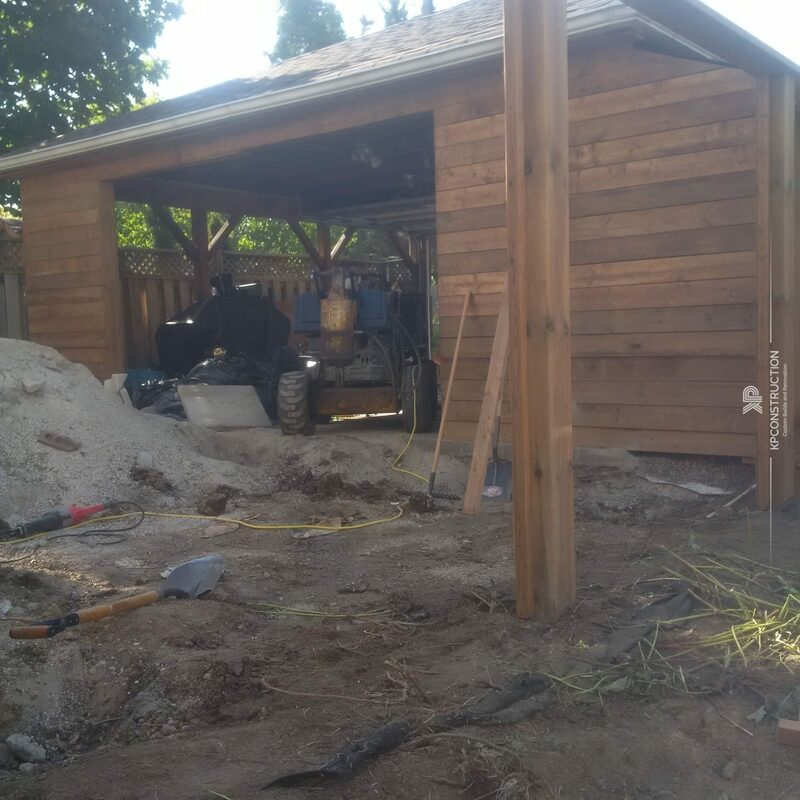 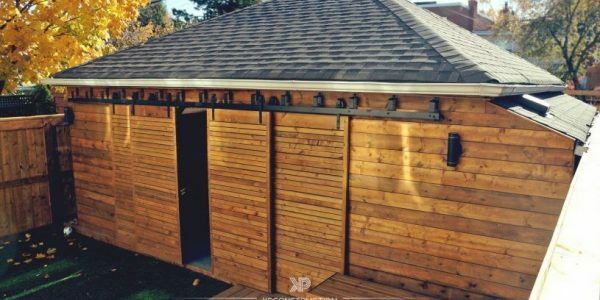 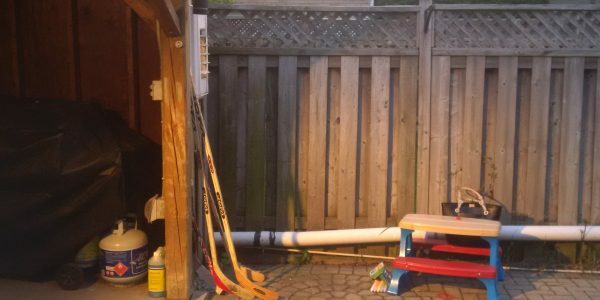 Parking shed didn’t have inward wall or door and was a part of the backyard. 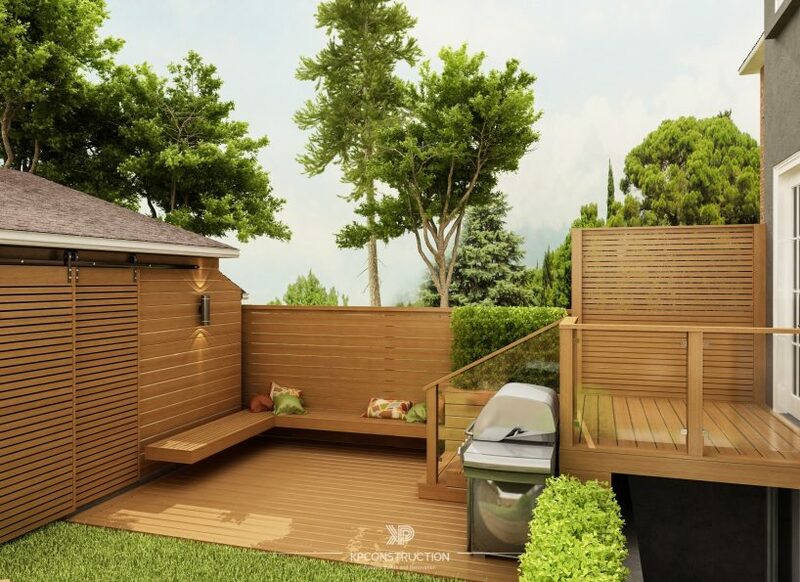 Once the planning stage was approved, our team moved on to the next stage with 3D design images. 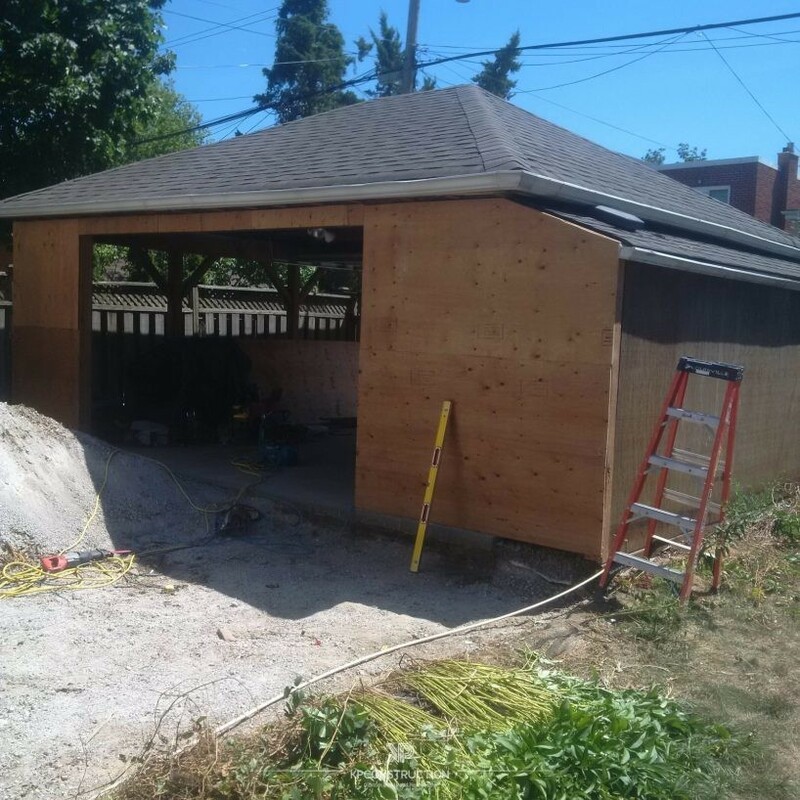 No changes or additions were required during the construction process. 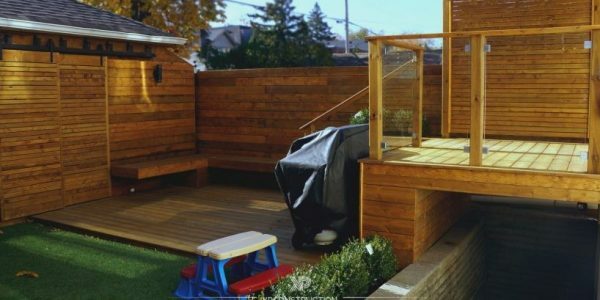 Place for family and friends to spend time during warmer seasons. 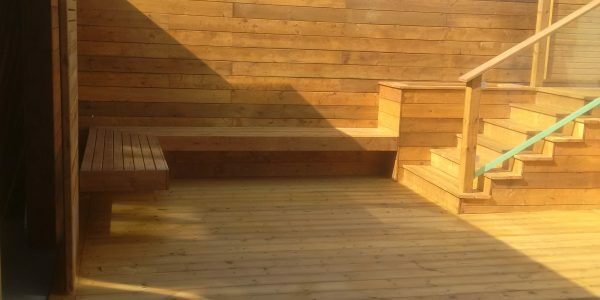 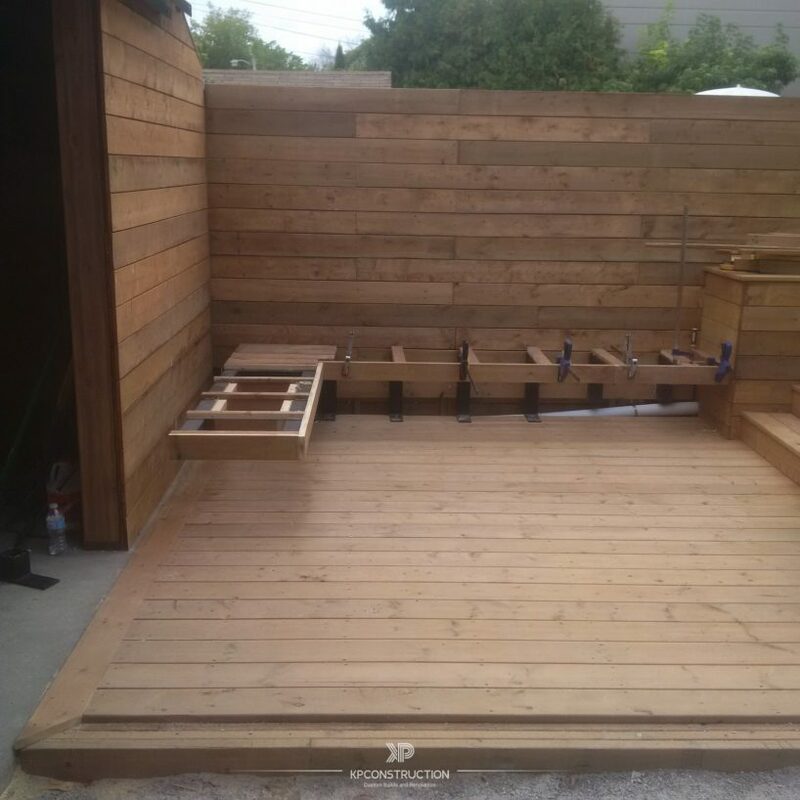 The deck structure and all finishes from Brown Pressure Treated material, all finished surface was stained, metalwork and welding used for the construction of floating bench and barn door, 10mm tempered glass panels, artificial grass, path form natural stone slabs, Boxwood shrubs, backfill gravel for required drainage. 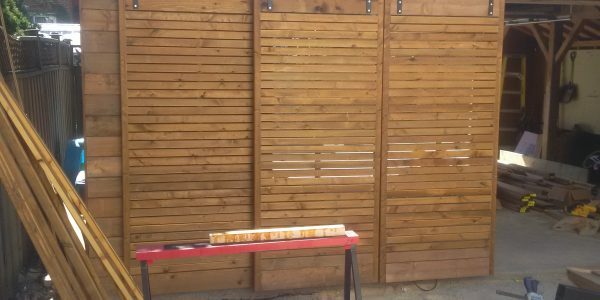 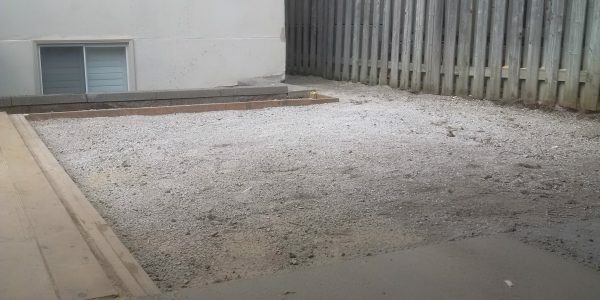 Design and build inward sliding door to hide parking area. 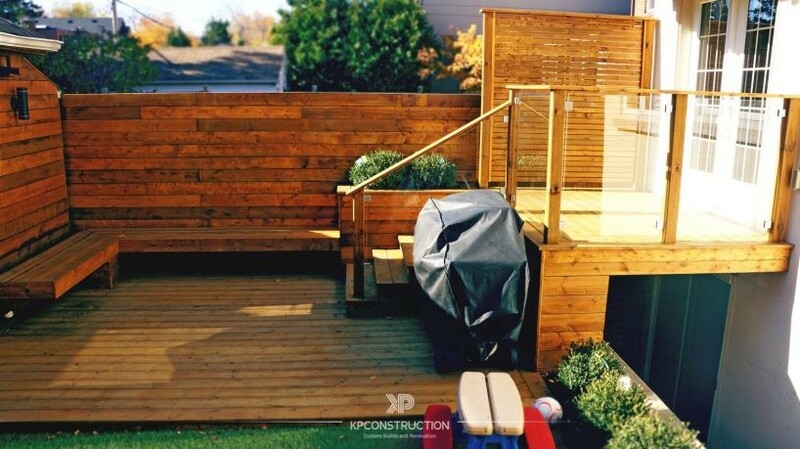 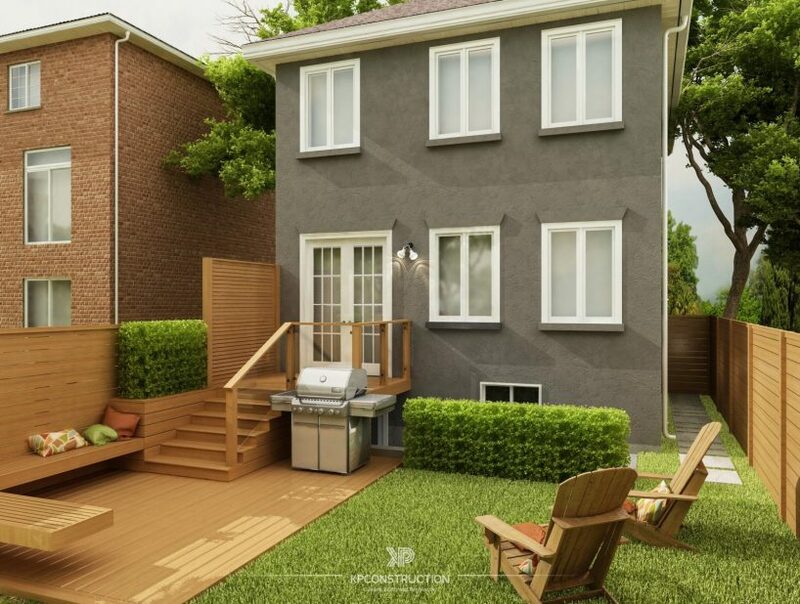 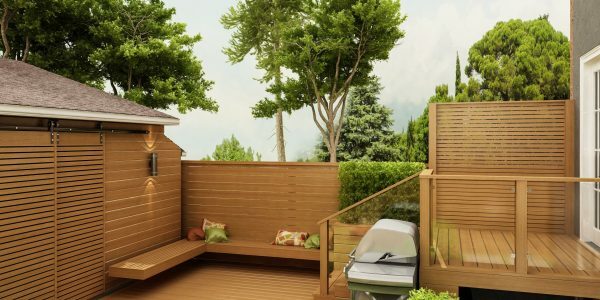 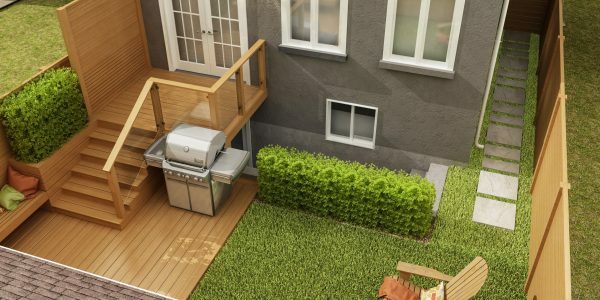 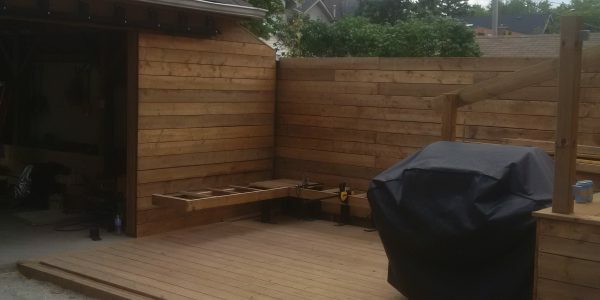 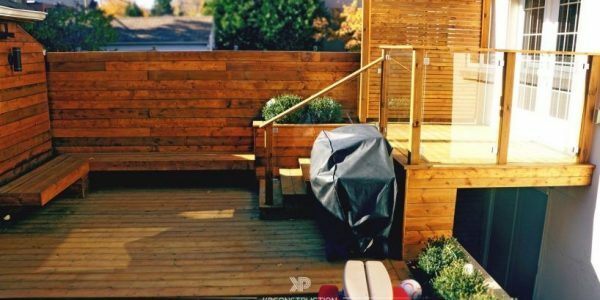 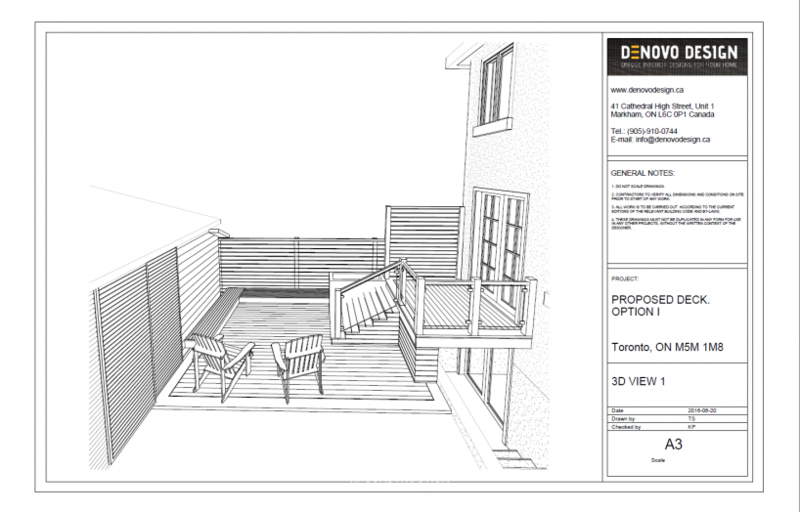 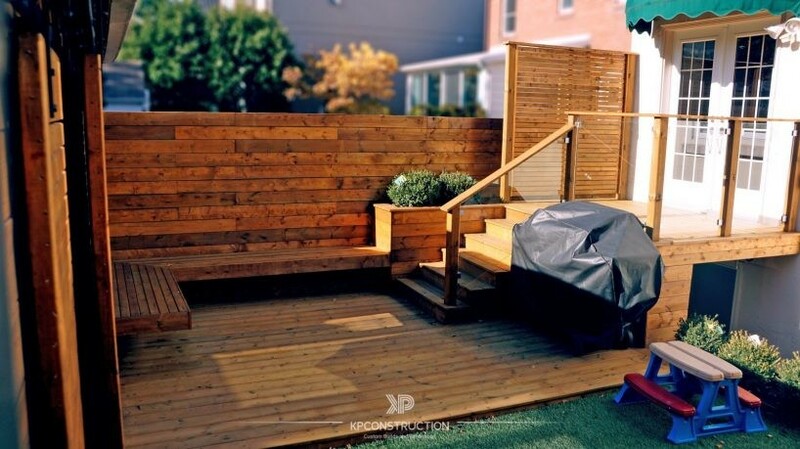 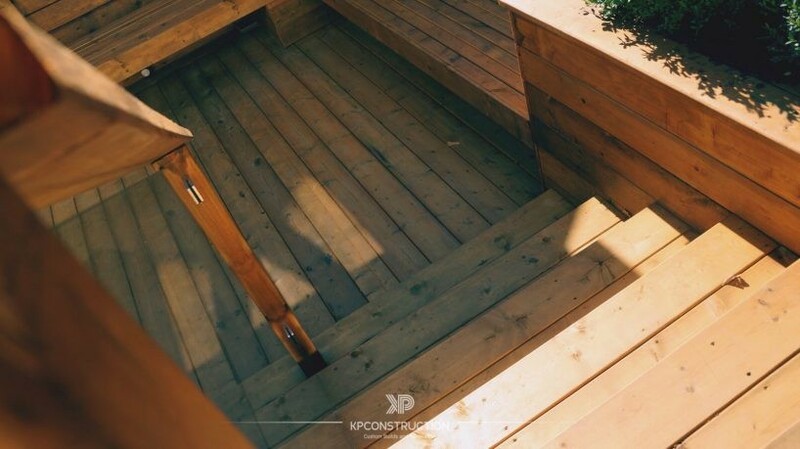 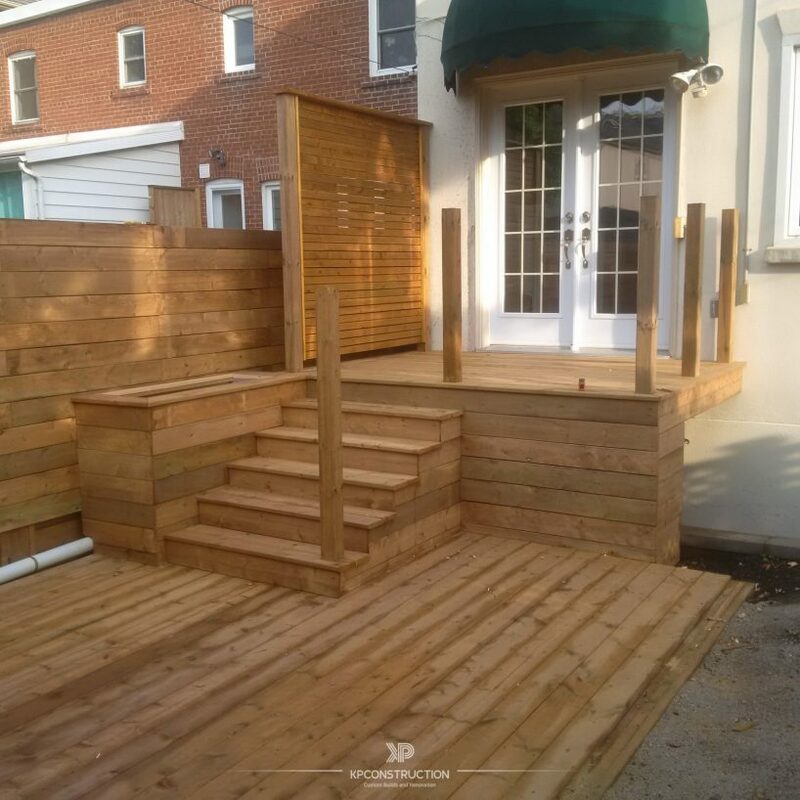 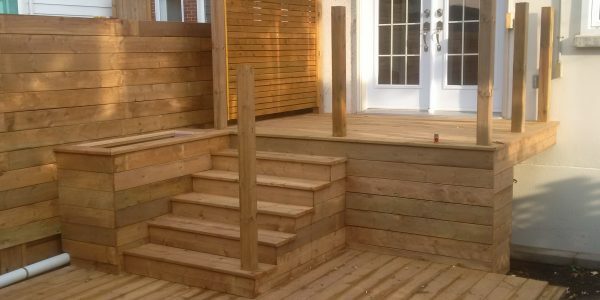 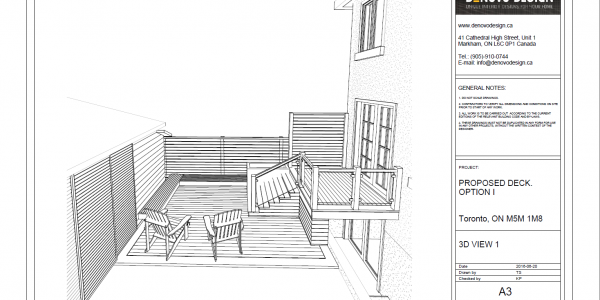 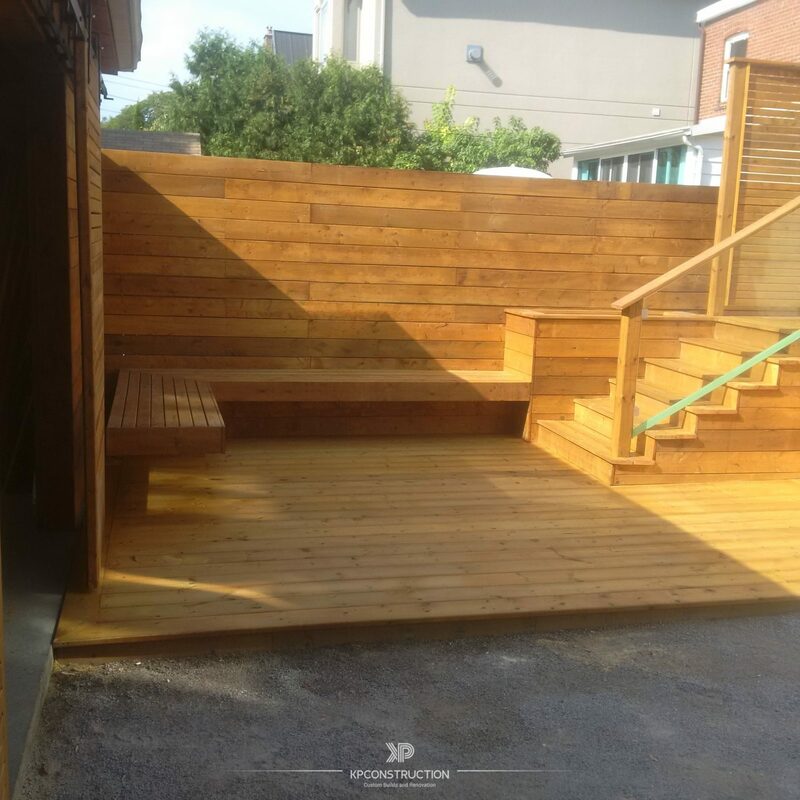 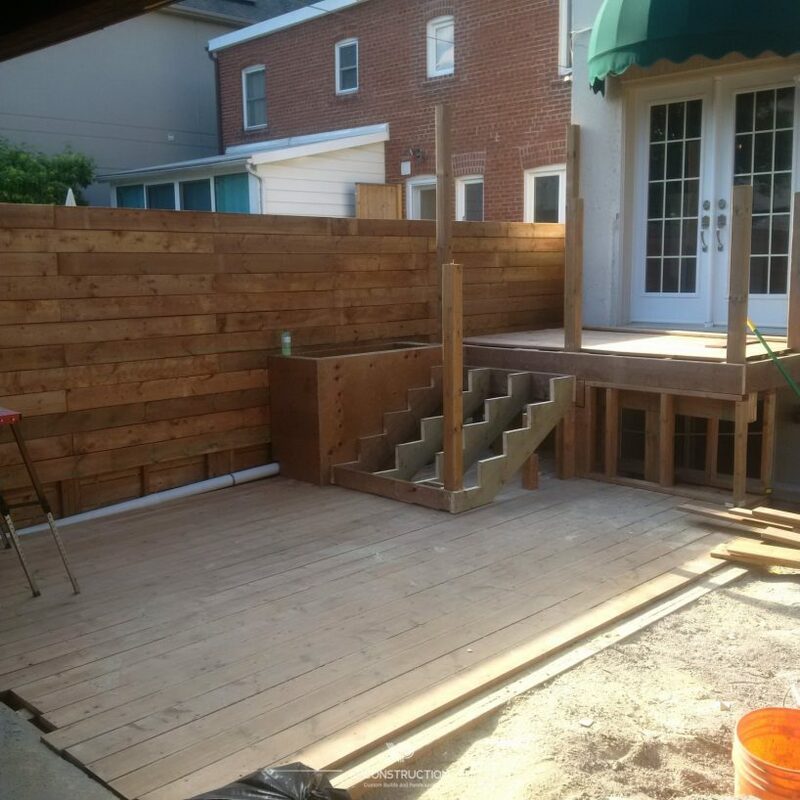 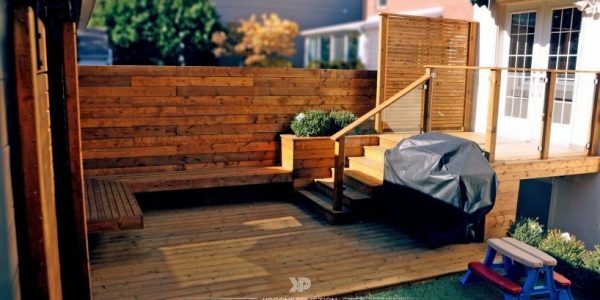 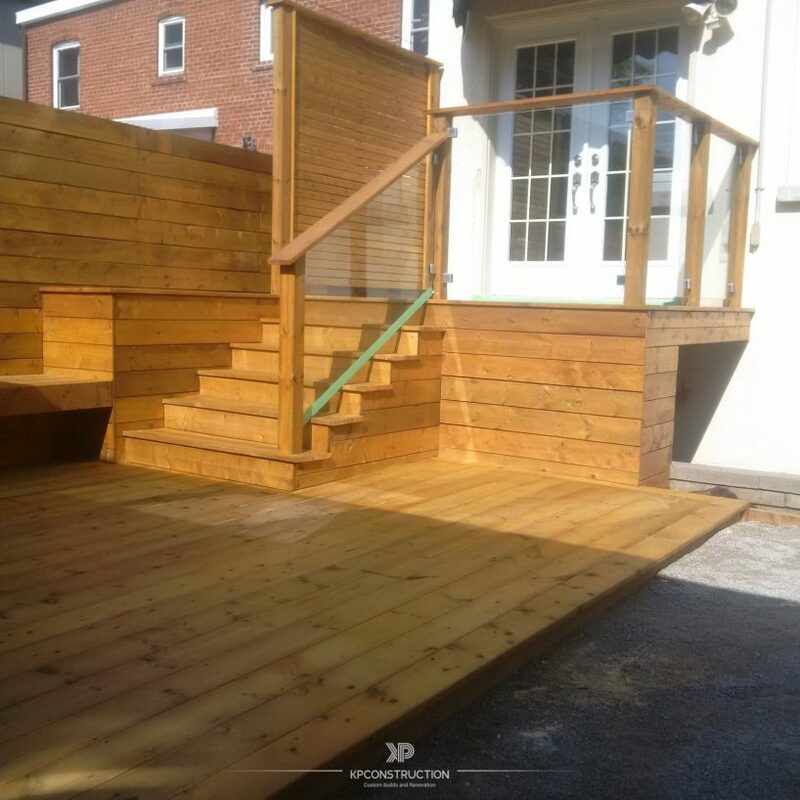 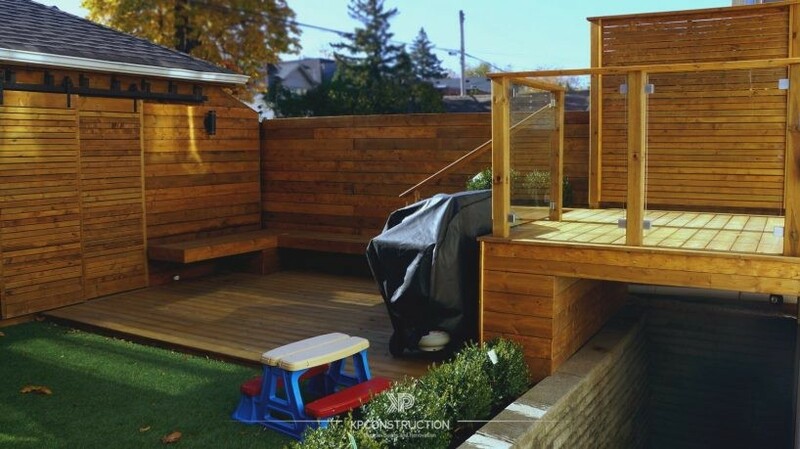 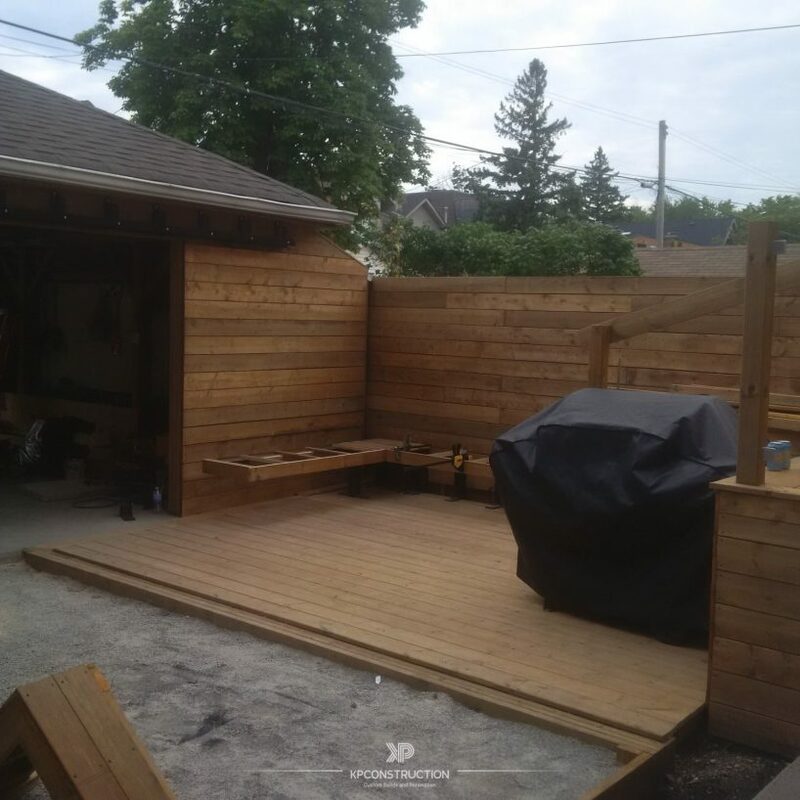 Deck must have privacy screen on one side, BBQ spot not blocking traffic area and blend in with lawn area. 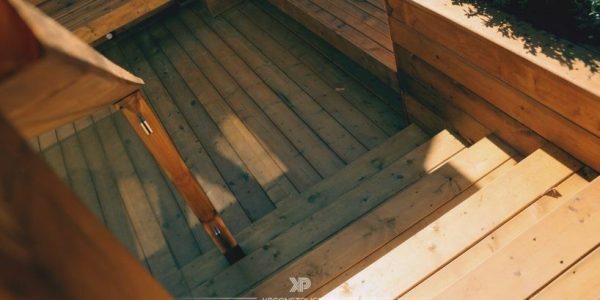 Must fit a group of up to 6 people. 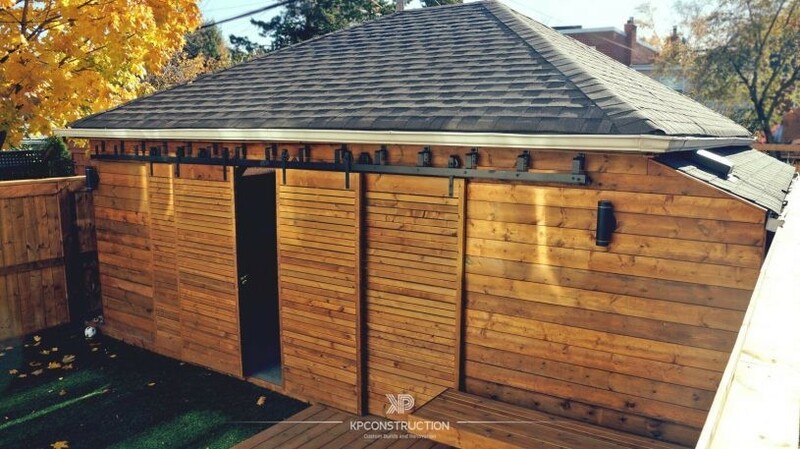 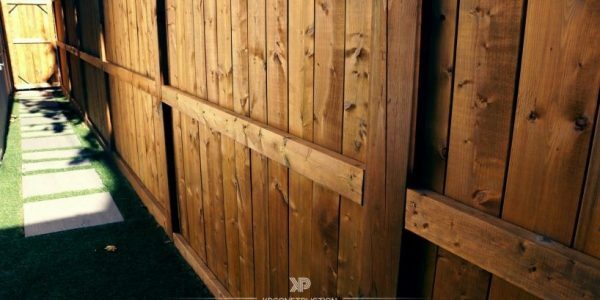 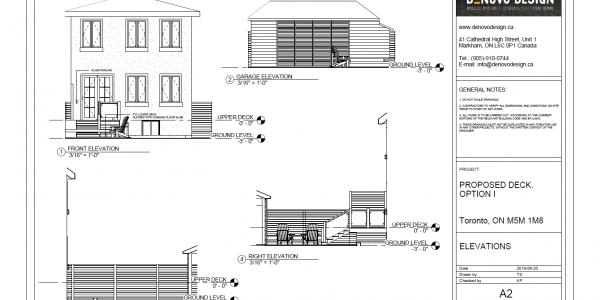 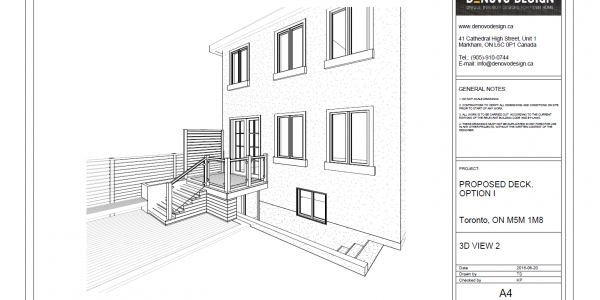 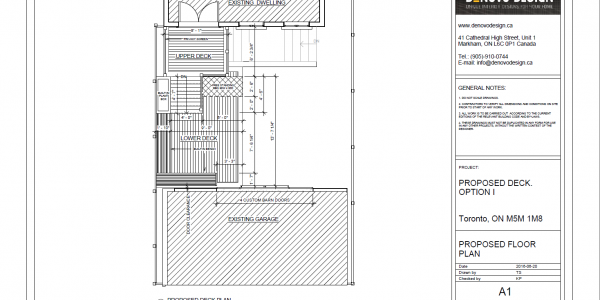 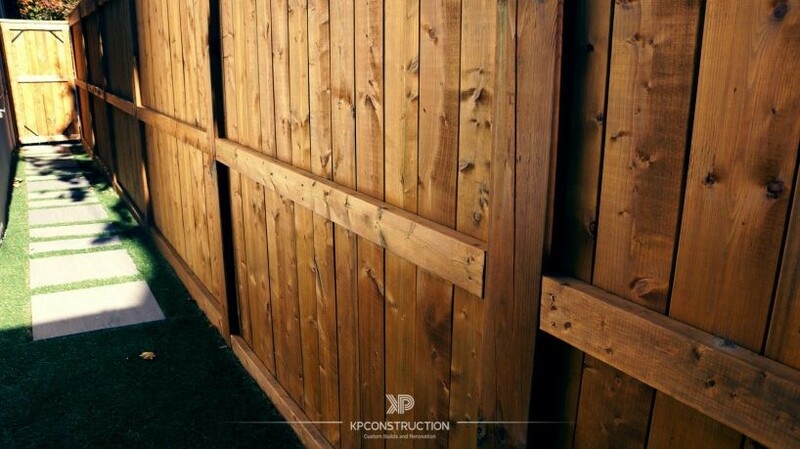 Experts at KP Construction offered layout options based on client’s requirements. 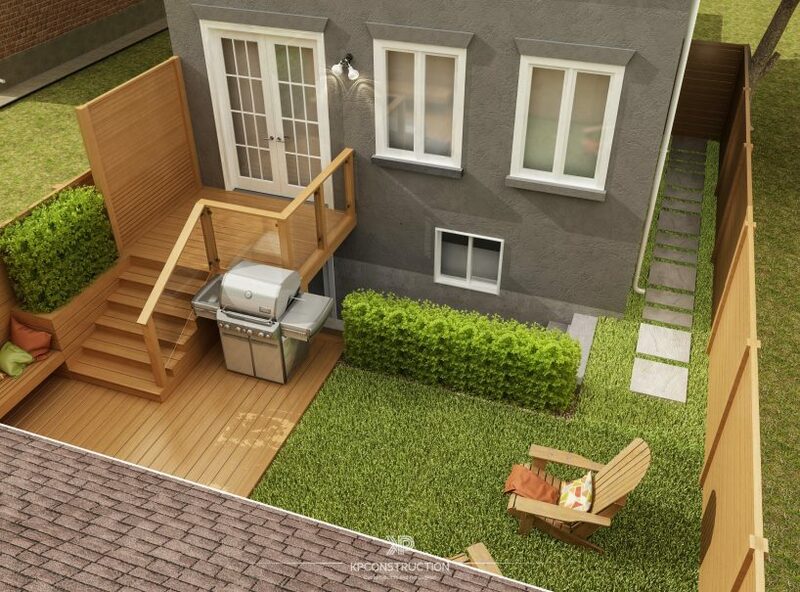 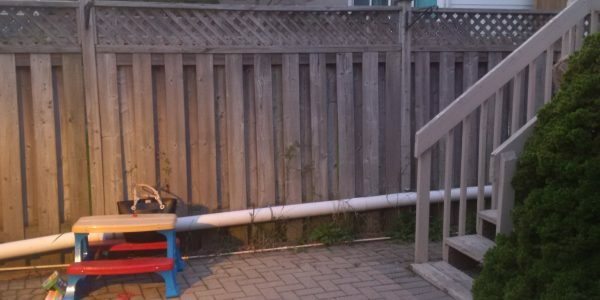 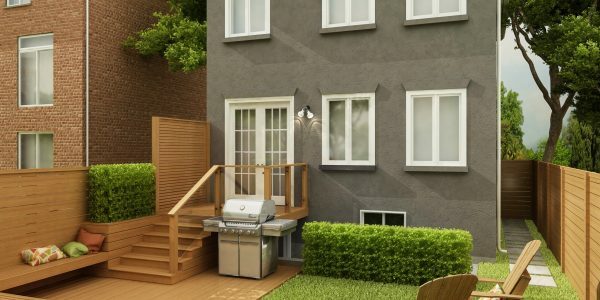 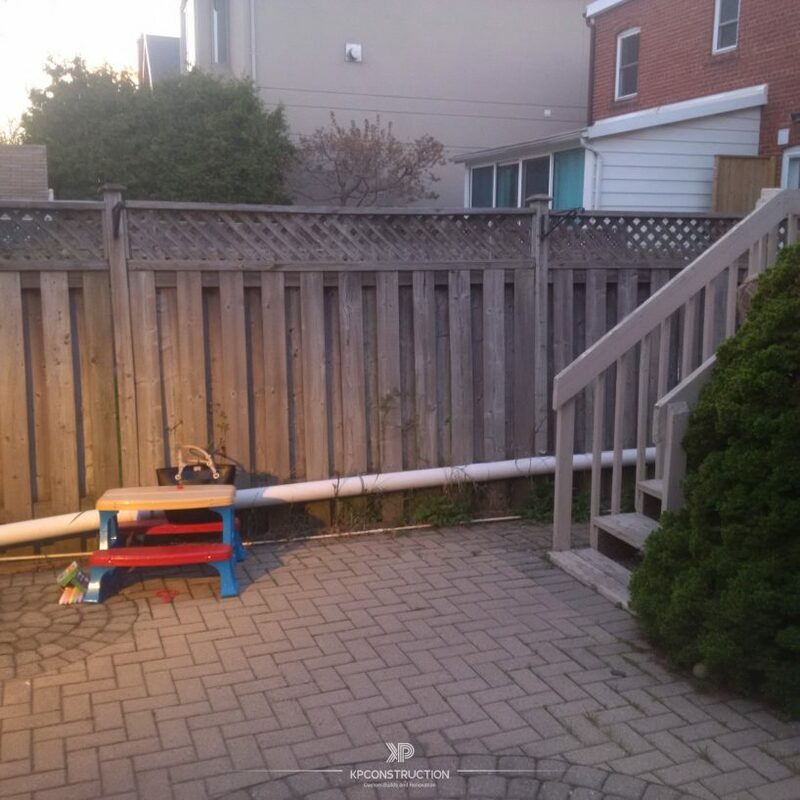 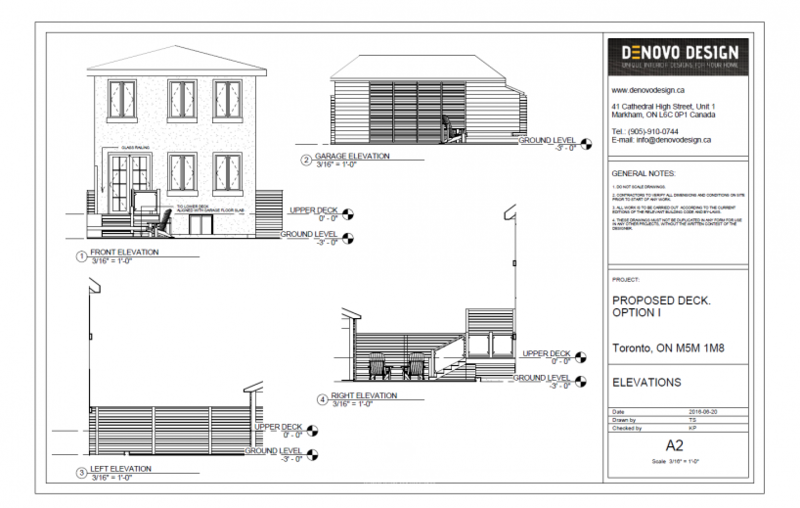 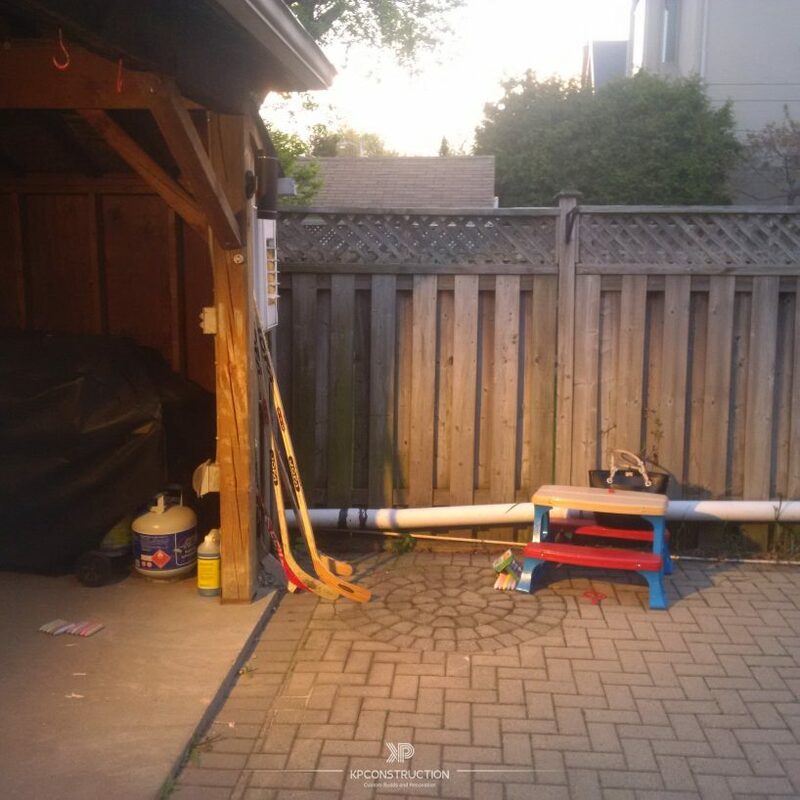 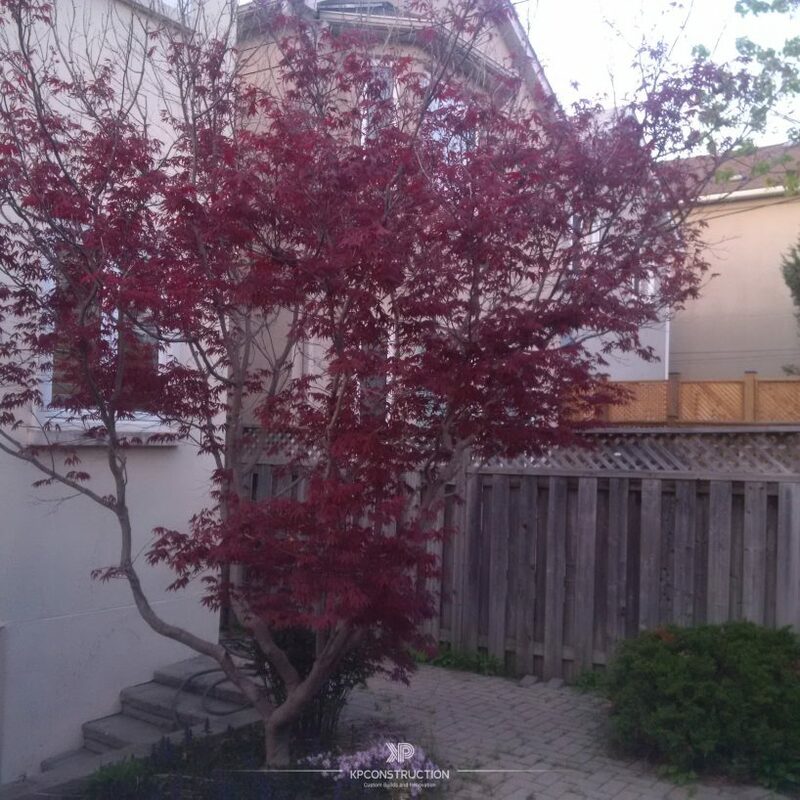 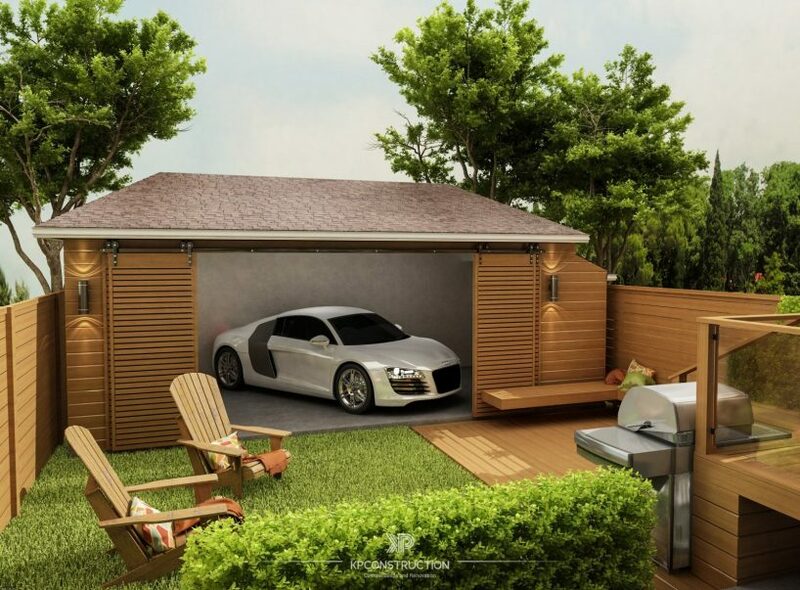 Limited space in the backyard in terms of allocation of the design elements. 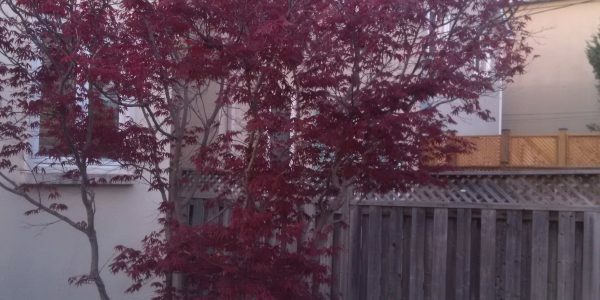 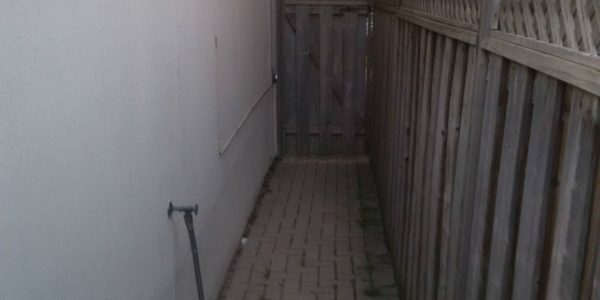 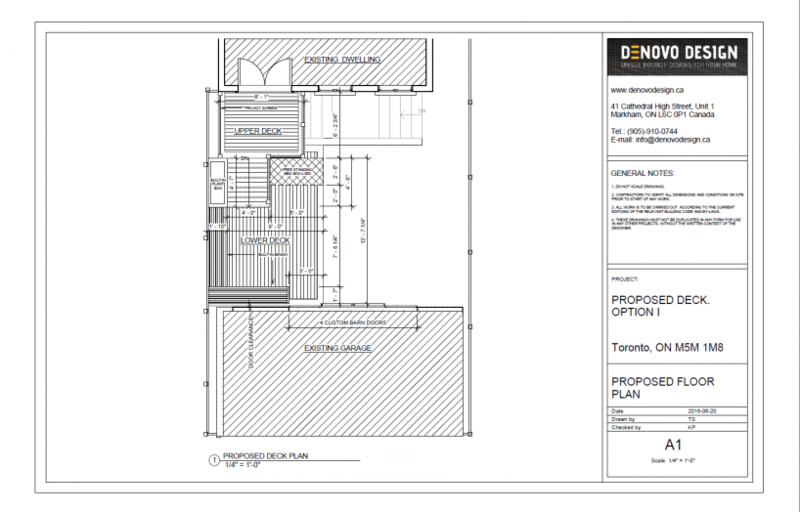 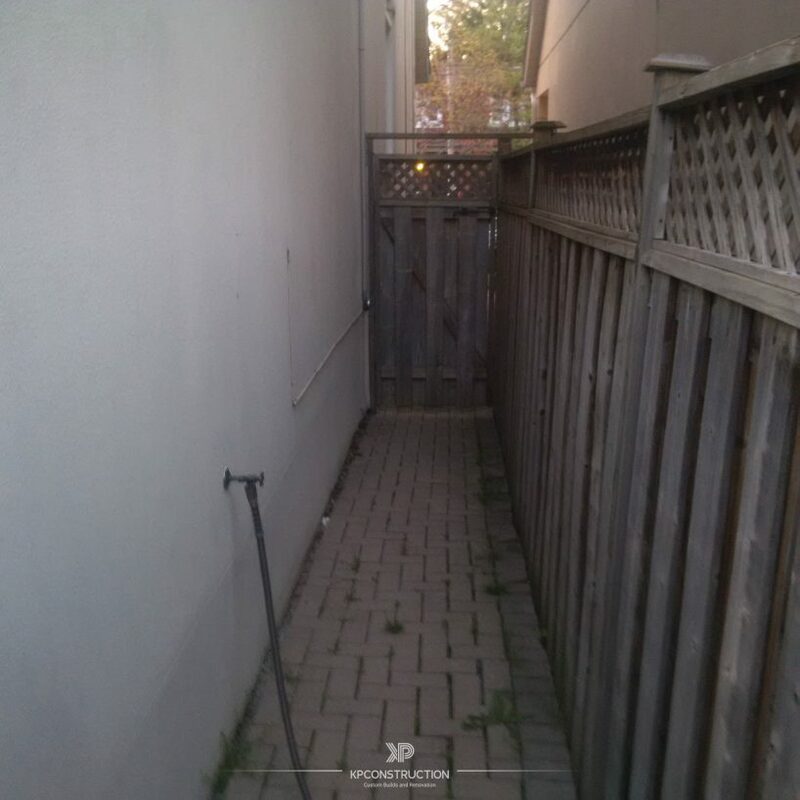 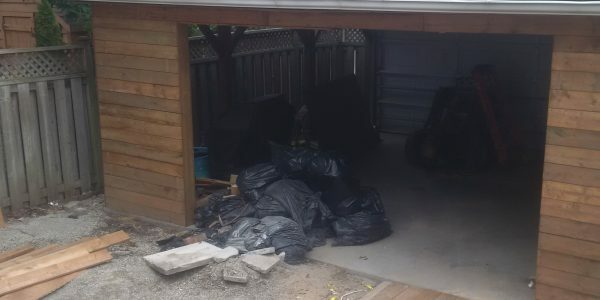 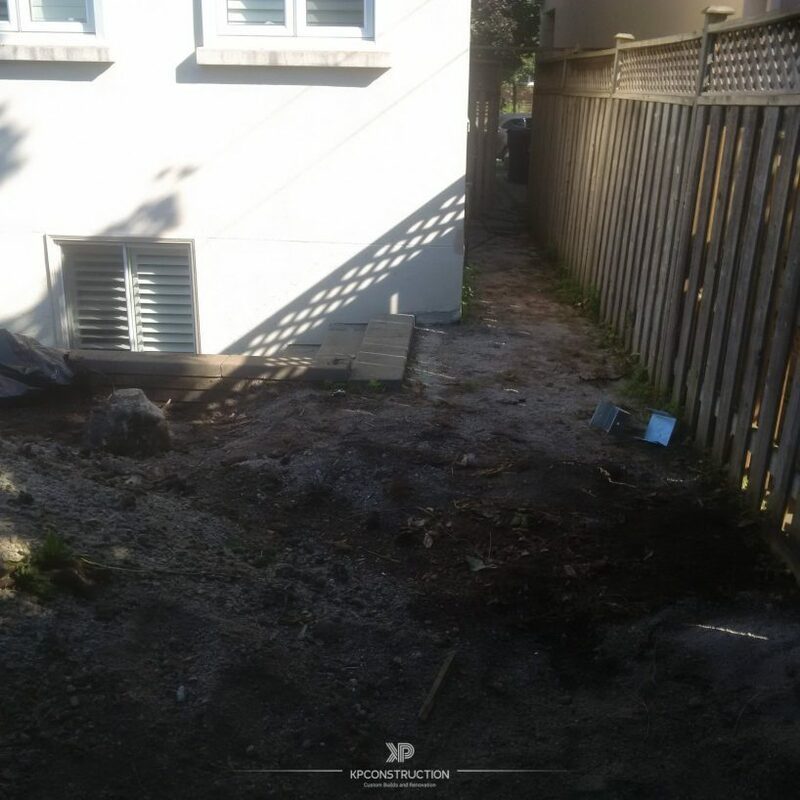 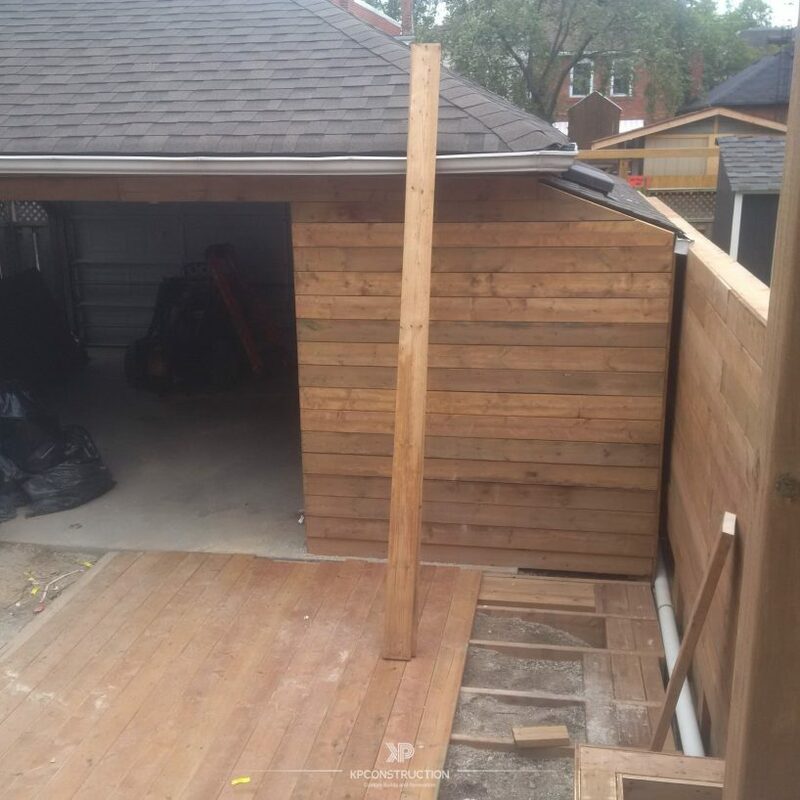 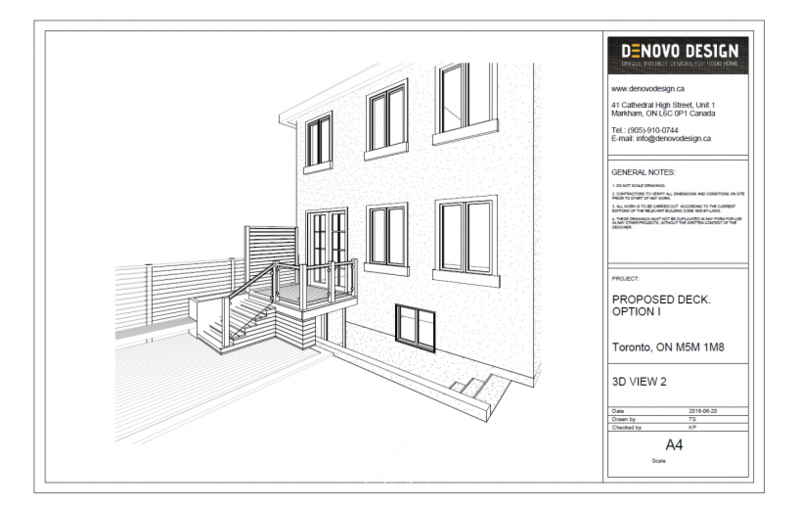 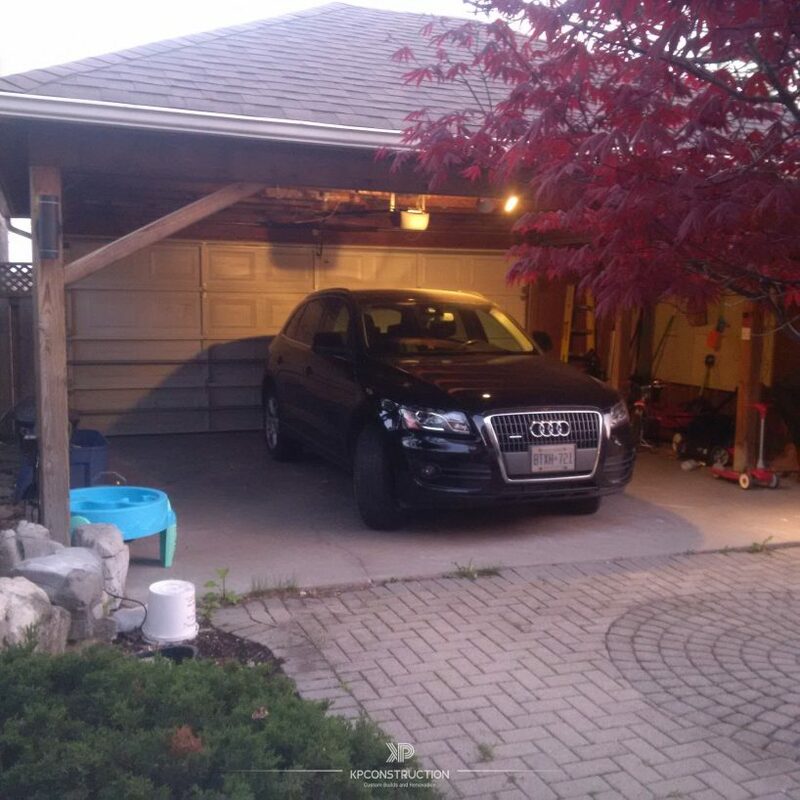 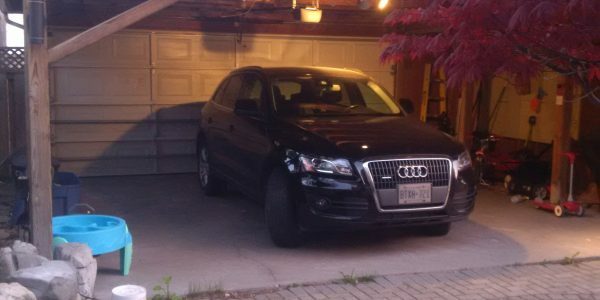 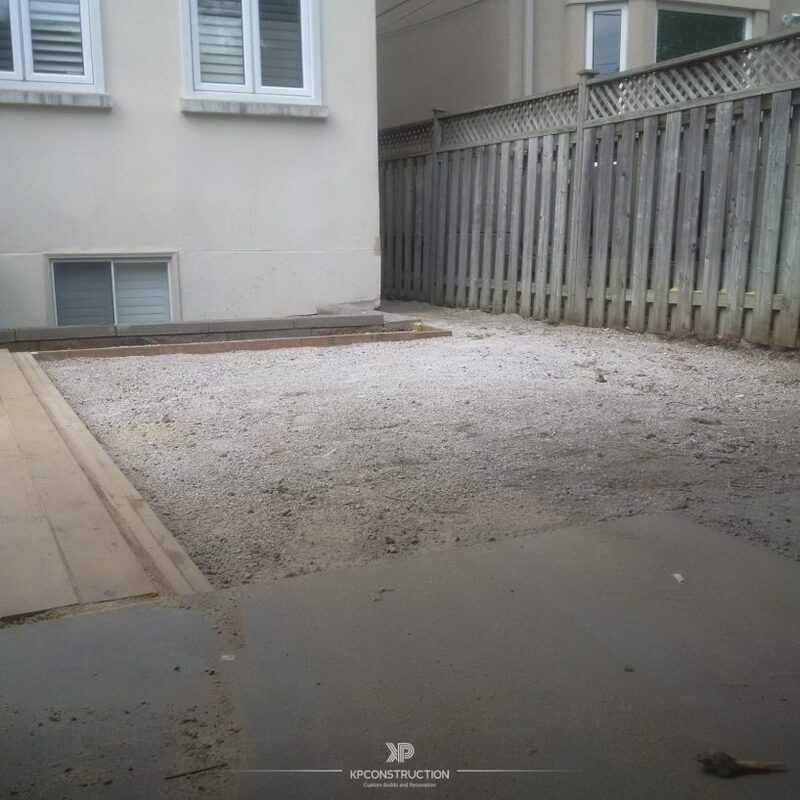 As many houses in DT Toronto, the property doesn’t have a driveway, was difficulties with delivery and storage of materials. 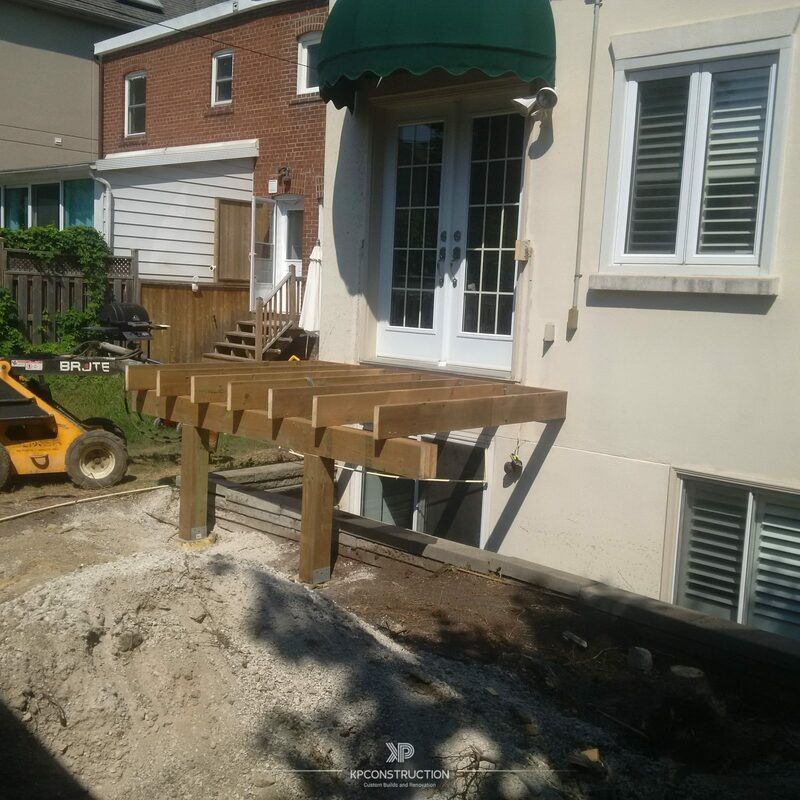 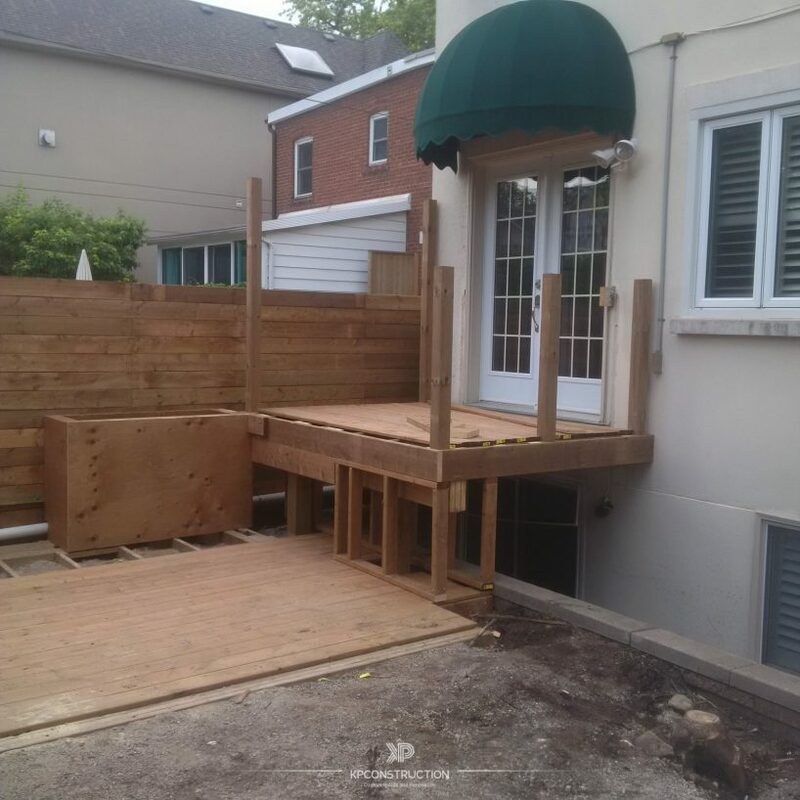 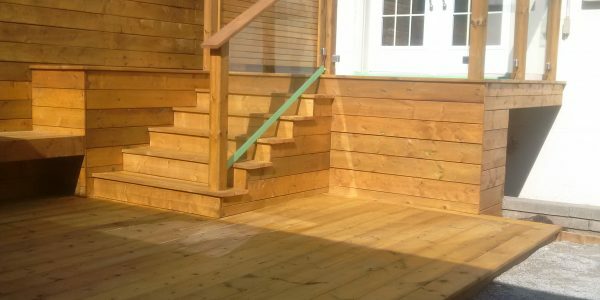 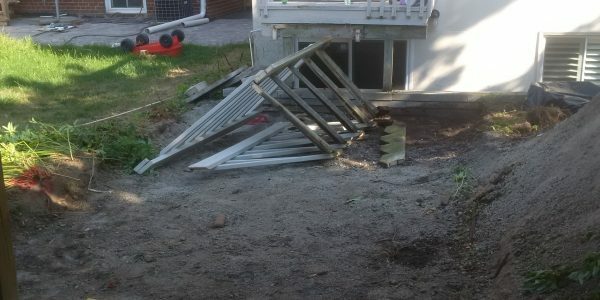 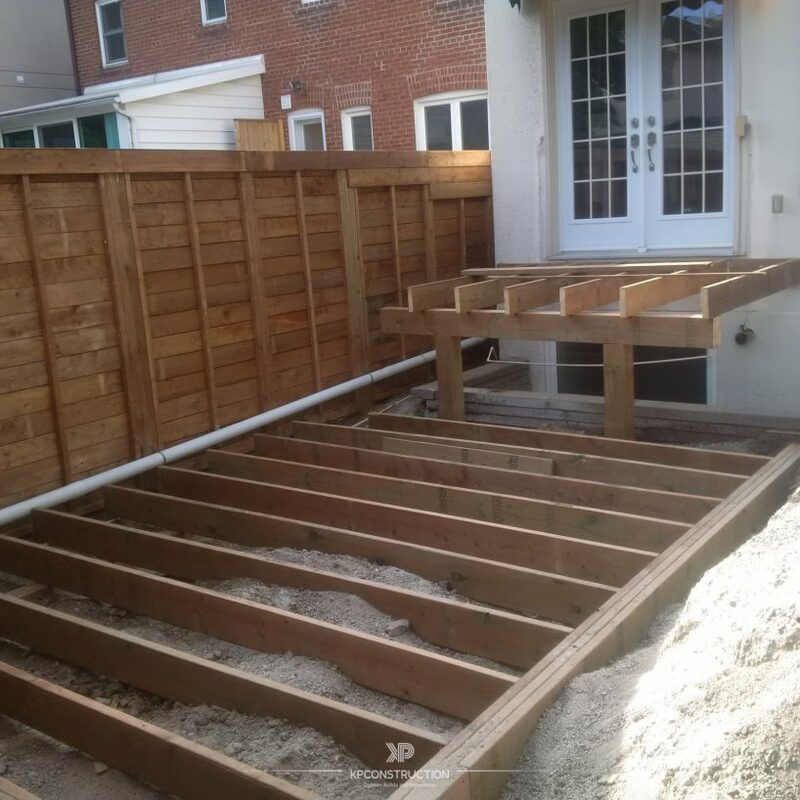 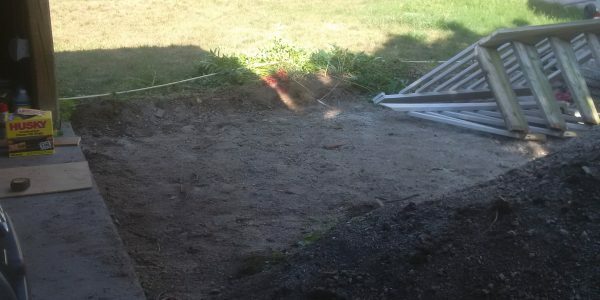 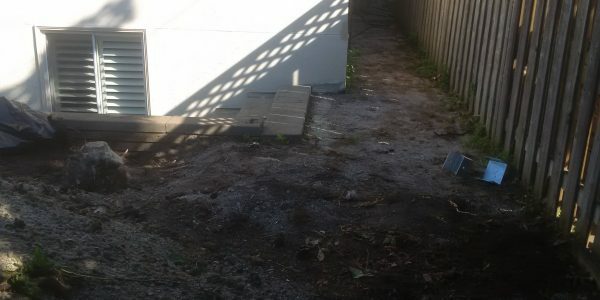 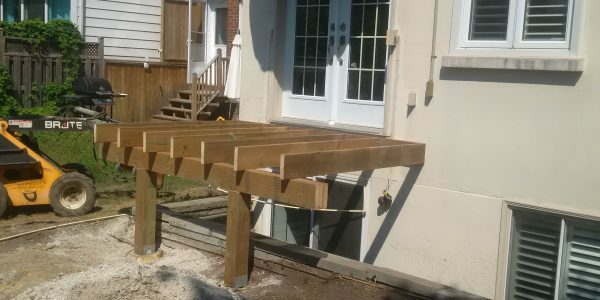 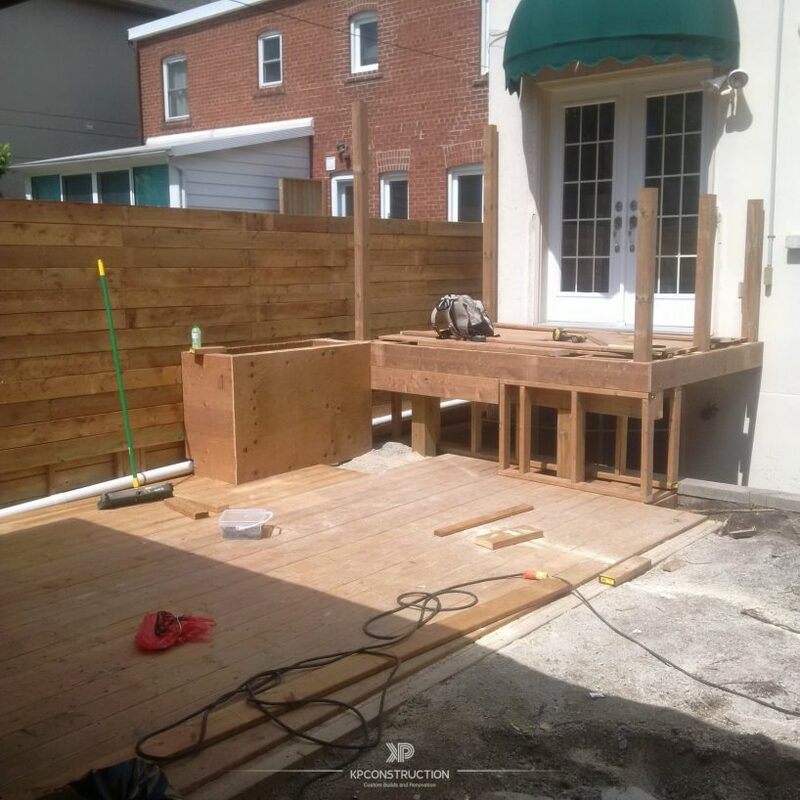 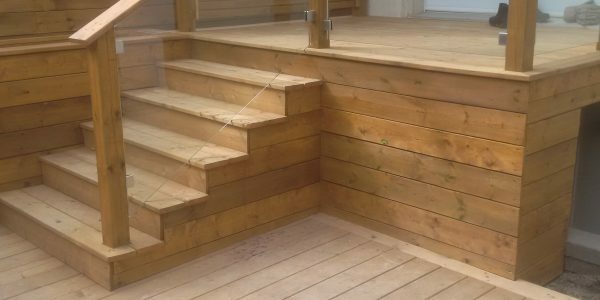 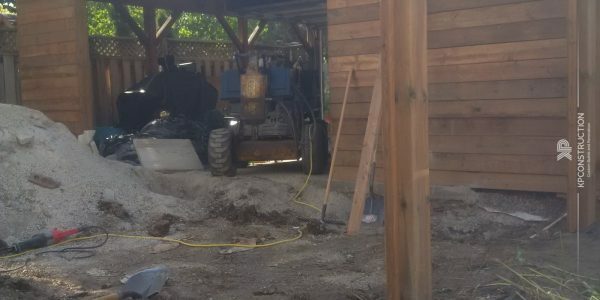 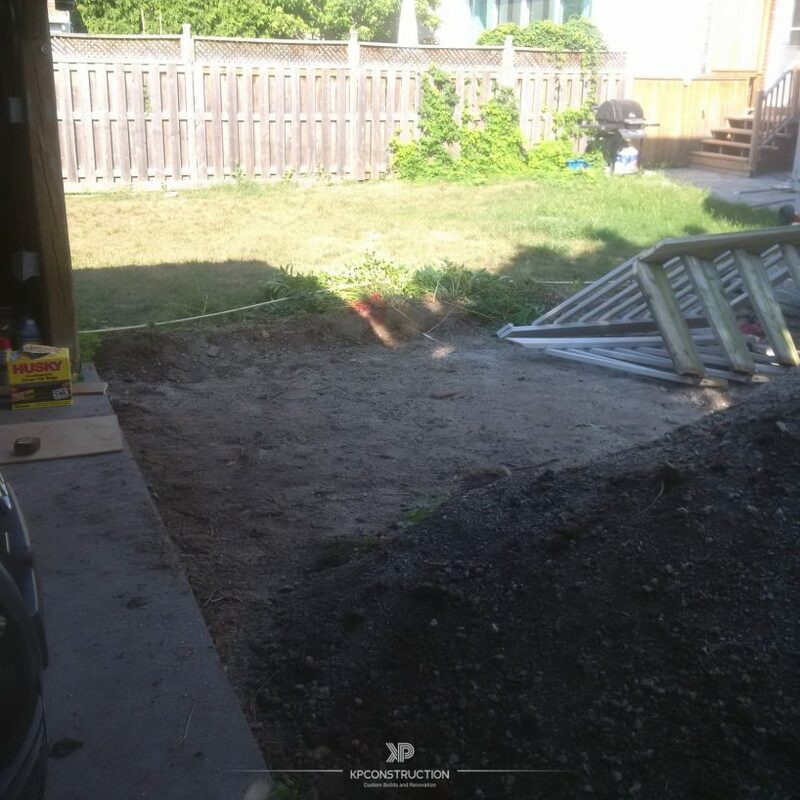 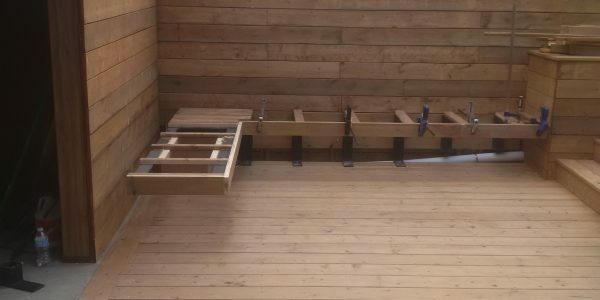 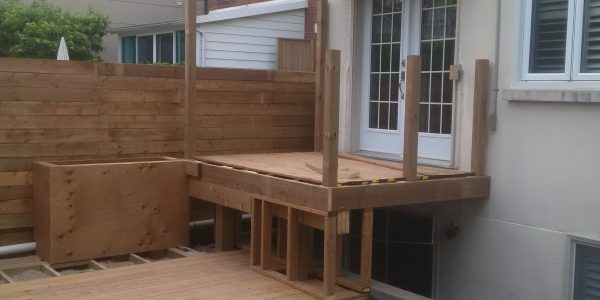 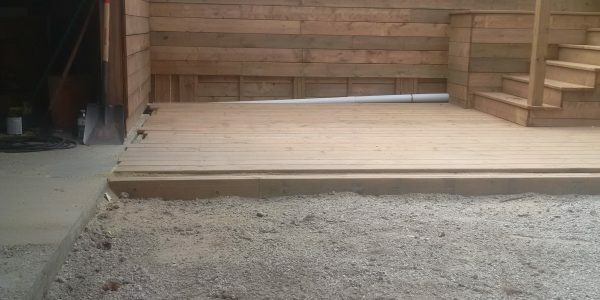 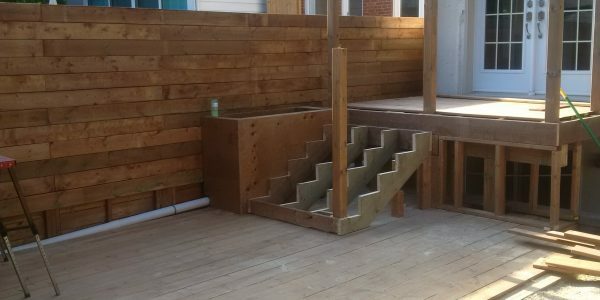 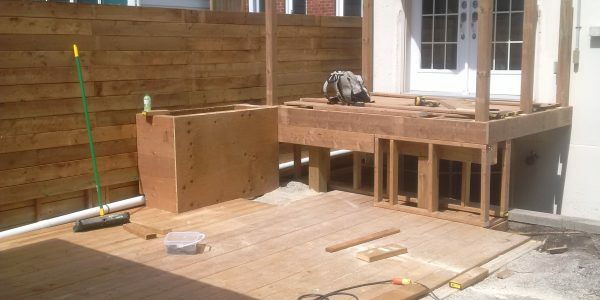 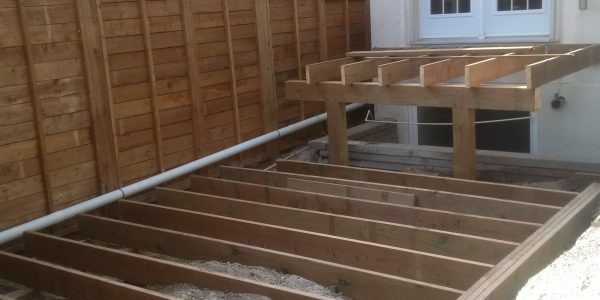 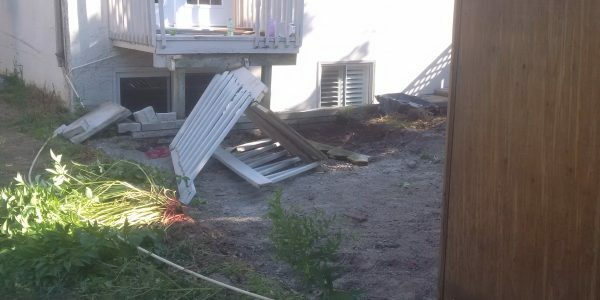 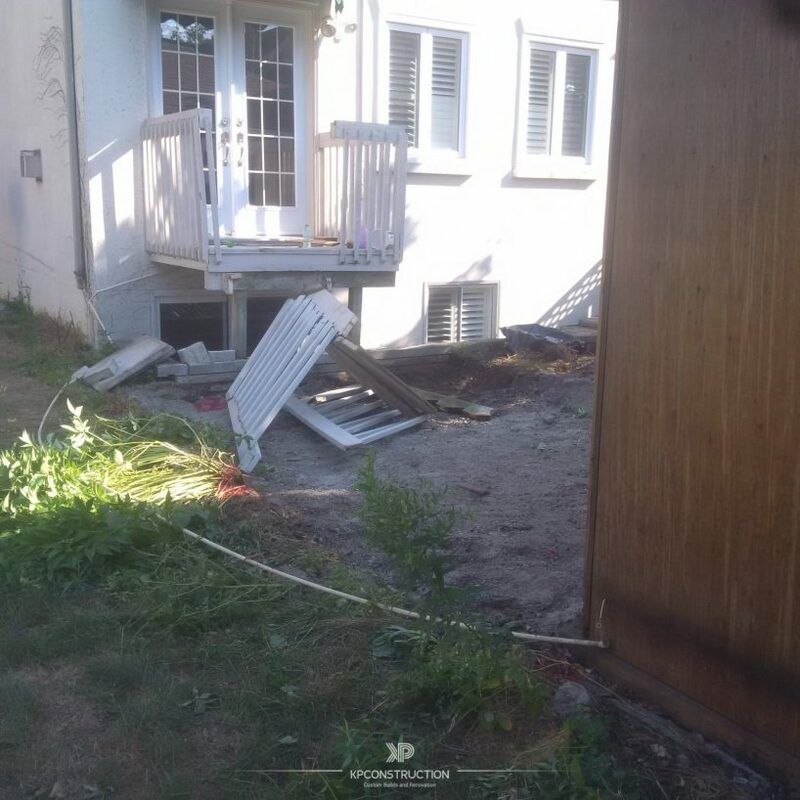 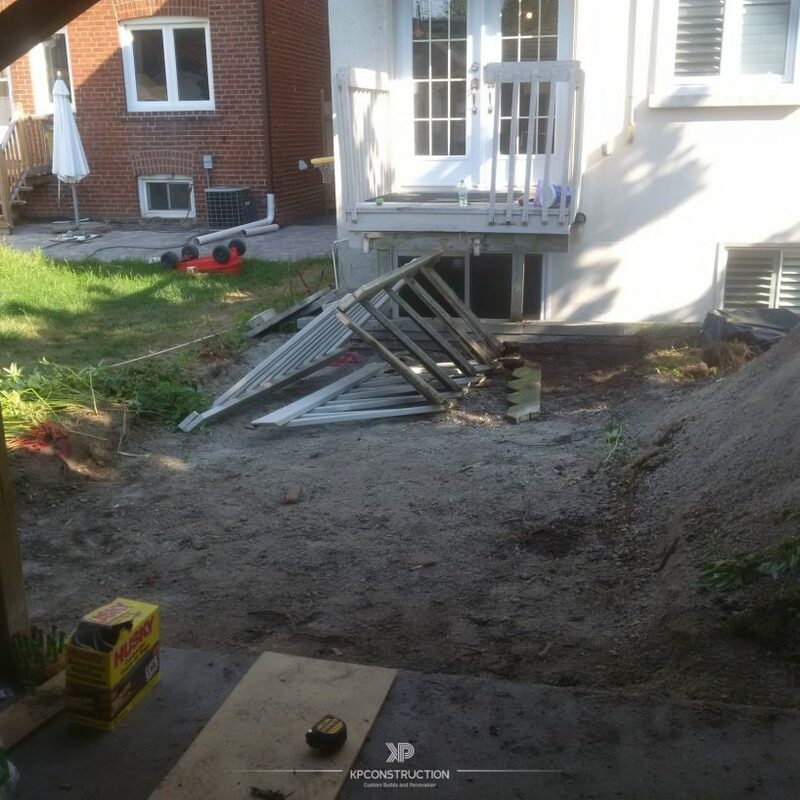 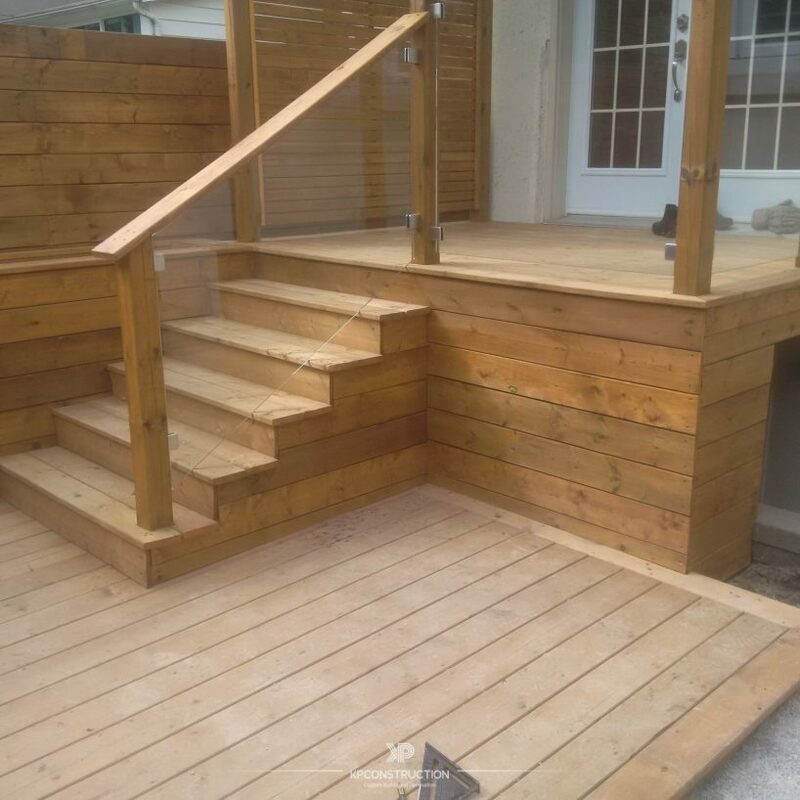 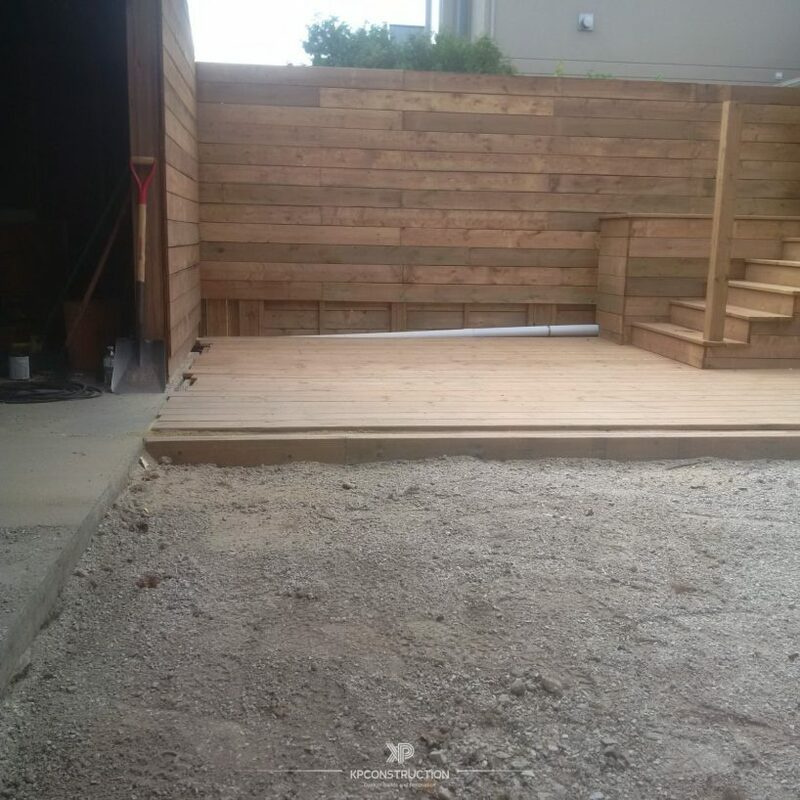 The ground deck was created at the same level with a soil level, a lot of soil was removed and backfill added in order to maintain proper drainage under the deck structure. 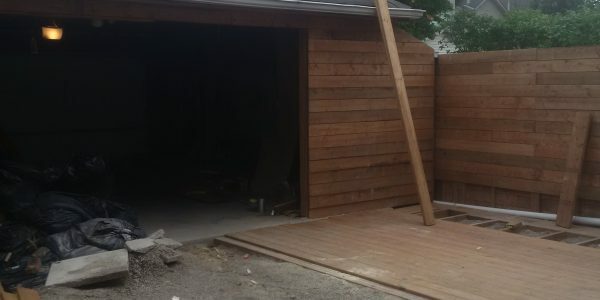 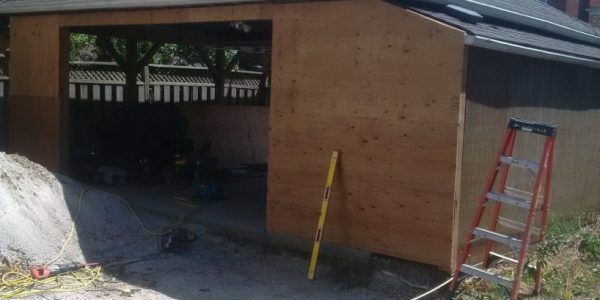 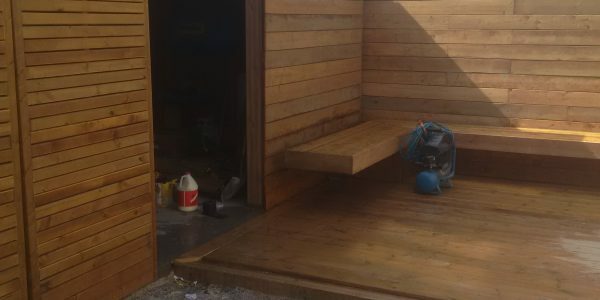 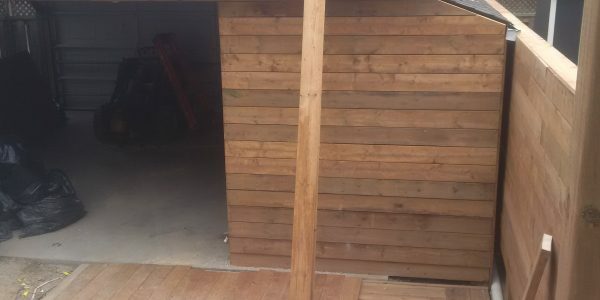 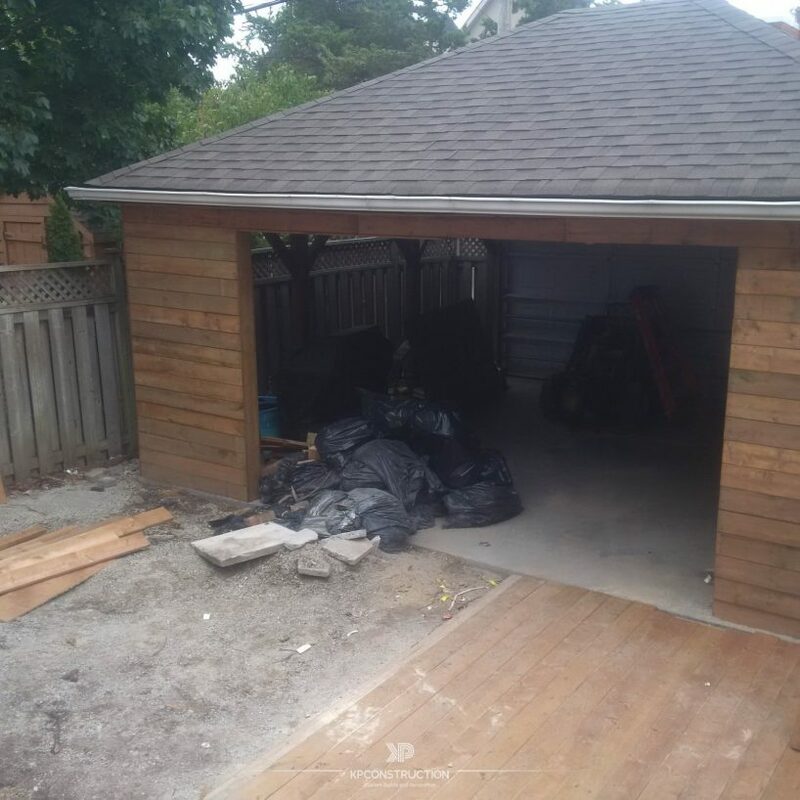 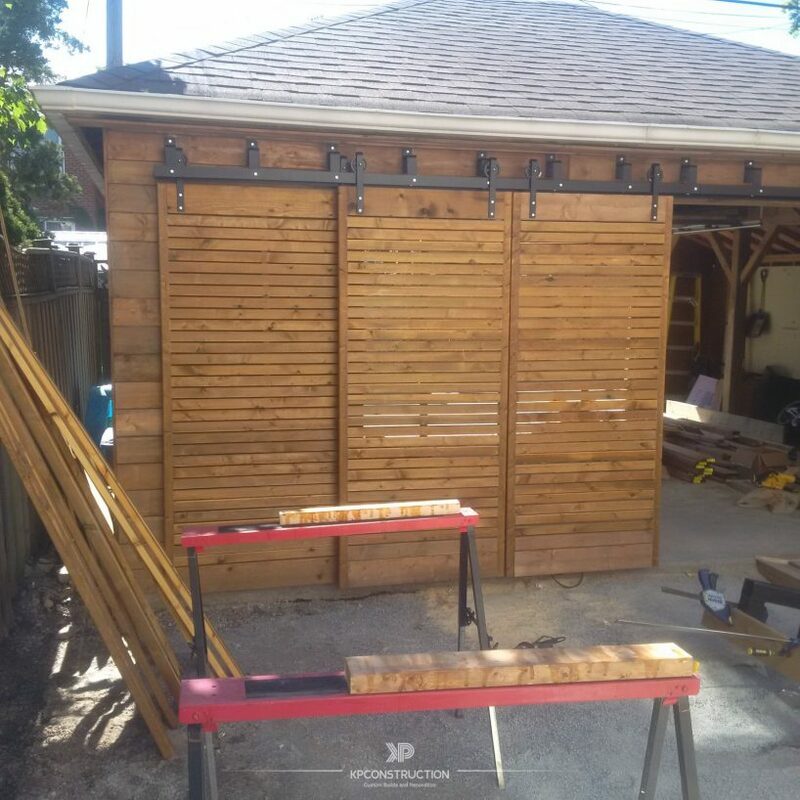 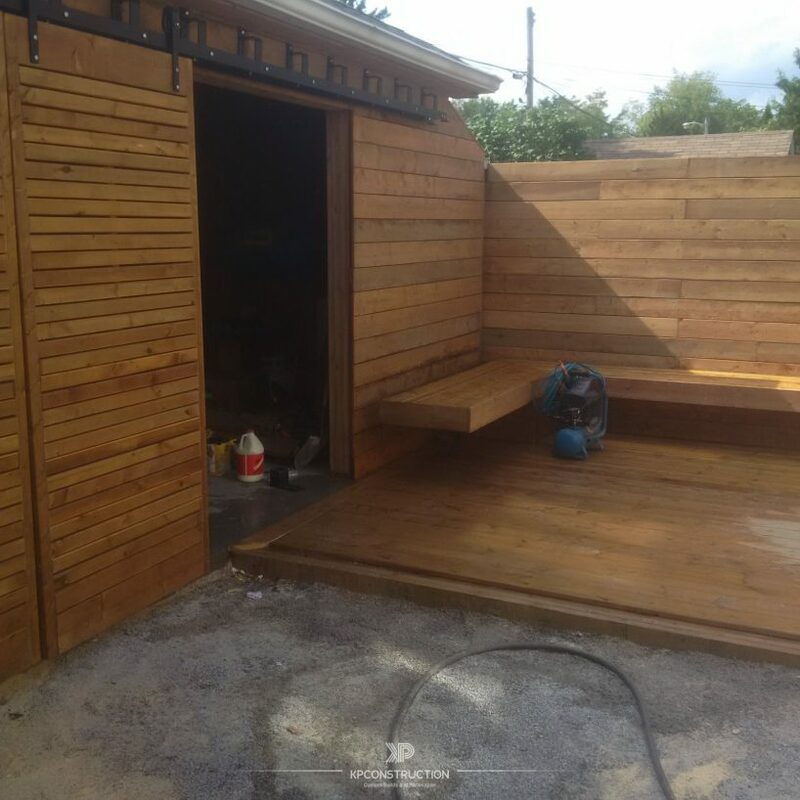 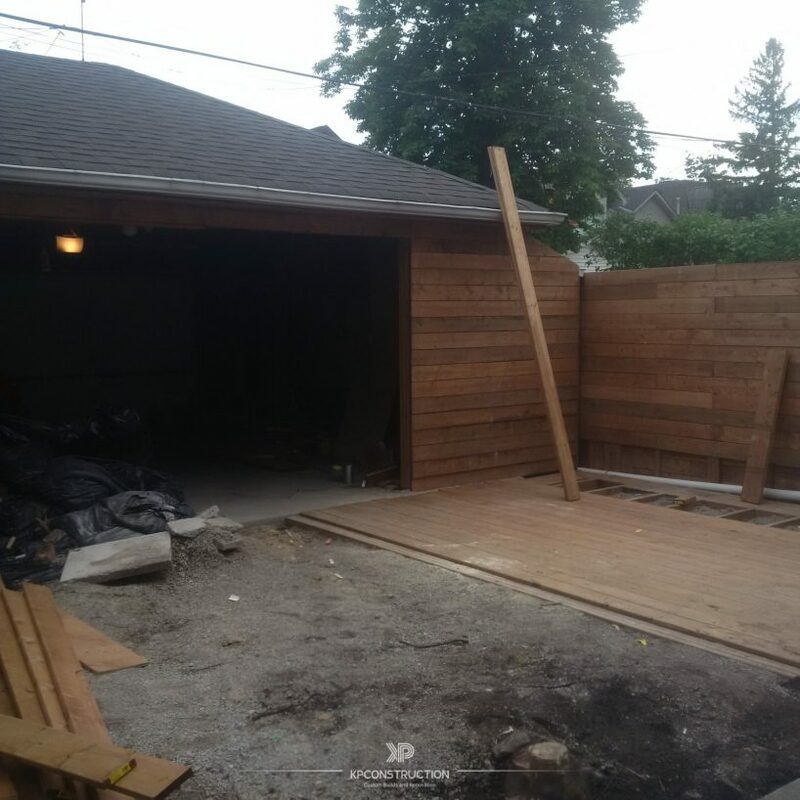 The existing garage structure was in bad condition, was reinforced and covered with plywood to have ready for finishes.